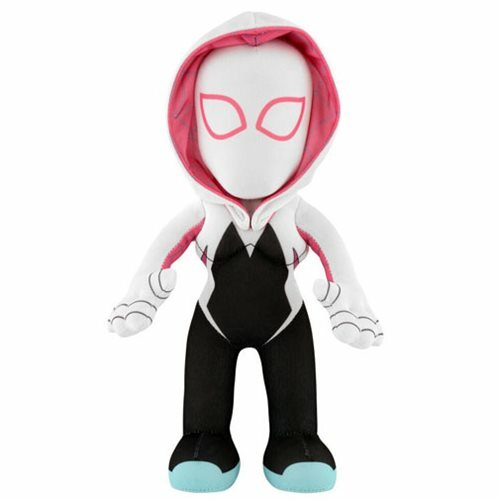 This Spider-Gwen 10-Inch Plush Figure brings the webbed heroine to life! Great for display, play, or to cuddle with your favorite Marvel Comics hero! Measures approximately 10-inches tall. Ages 18 and up. Spider-Gwen Fans Rejoice! A Plethora of Goodies Are On the Way!